Support the troops with this For Those Who Served T-Shirt. On Nov 11 the Utes will be honoring our Veterans at the Washington State vs Utah game. 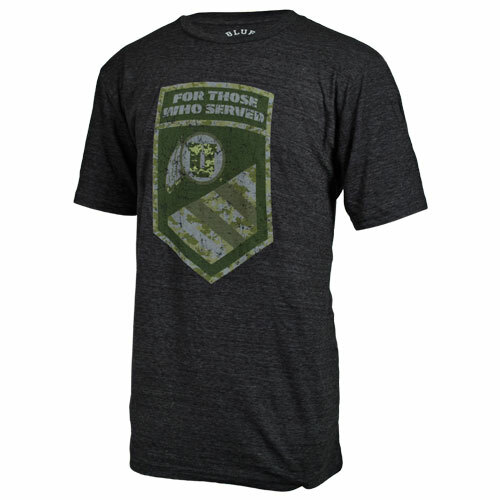 This camo-green Athletic Logo is the perfect way to show your pride. 50% Polyester, 37% Cotton, 13% Rayon. Imported. Please select option for Blue 84 For Those Who Served Tee.